I've seen a lot of neat ideas lately of how people have been using the insides of their cupboard doors for all kinds of neat organizational ideas....pinboards, chalkboards, menu planning, spice racks, etc...just type "inside cupboard" into Pinterest and you'll see what I mean. :) It's a cool way to put otherwise wasted space to use. 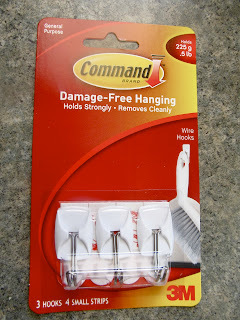 I picked up a few packs of these Command hooks at Menards...I think they were $2.22 for a 3 pack this size. 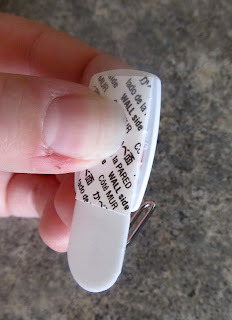 To hang the hooks, start by peeling off the RED side of the adhesive strip. 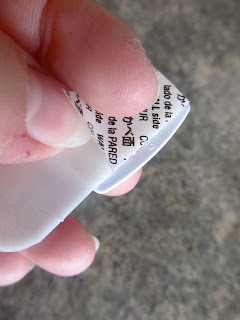 Press the exposed adhesive to the back of the hook. Now peel off the BLACK side. 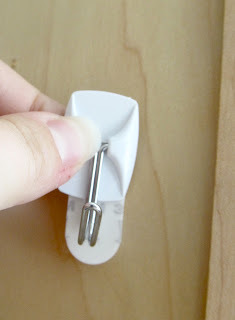 Press the hook against whatever surface you're adhering it too. Hold it firmly for a few seconds. If you're hanging anything that weighs very much, wait about an hour before hanging it up. And voila! 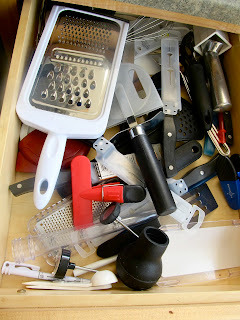 :) Now I can just grab the right measuring cup without having to dig for it...nice and neat. All-Purpose Cleaner - Better than Windex!! I'm not a scientist or researcher. :) The things I've posted here are simply things that I've personally tried and liked. If you're looking for scientific research or statistics on projects, you're in the wrong place. 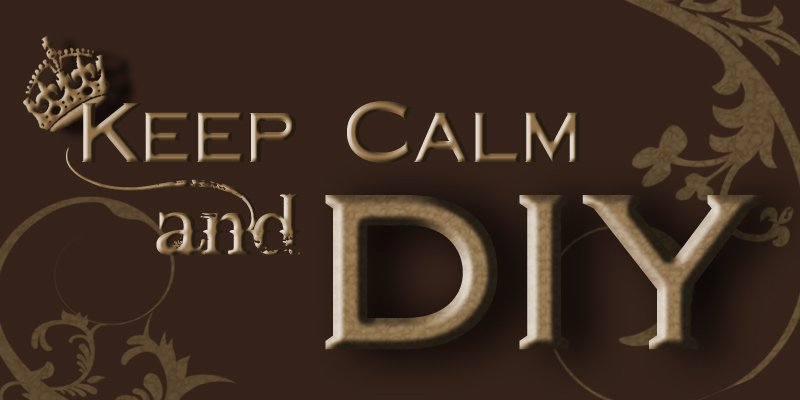 :) Please use caution and common sense when trying anything new. I'm not responsible for accidents caused by trying something you've seen on my blog.